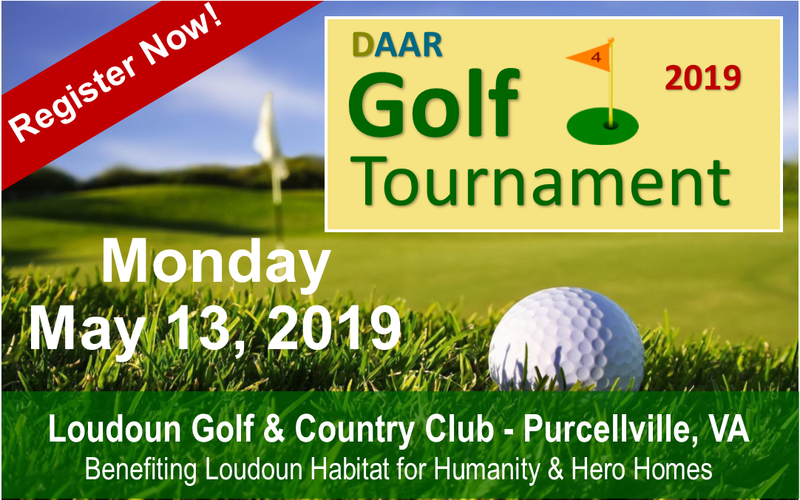 Register for the DAAR Golf Tournament to Benefit Habitat and Hero Homes! Sign up soon as a foursome or individual player for DAAR’s Charity Golf Tournament taking place on Monday, May 13, at the Loudoun Golf & Country Club in Purcellville, VA. Captains choice includes hole in one, closest to the pin, longest drive contests, networking and post-tournament awards ceremony and reception. Don’t miss this opportunity to connect with top real estate industry professionals. 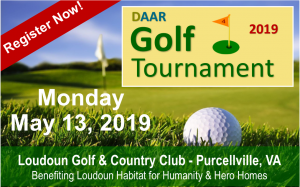 Come see why members and guests call Loudoun Golf & Country Club “a place where camaraderie and recreation come together in a quiet, peaceful setting.” DAAR members and sponsors are encouraged to reserve space early. Don’t miss this opportunity to connect with top real estate industry professionals.